Add balsamic vinegar and brown sugar to a small saucepan. Cook over medium heat about 5 minutes until reduced and syrupy. While the balsamic vinegar reduces, cook green beans in microwave according to box directions. 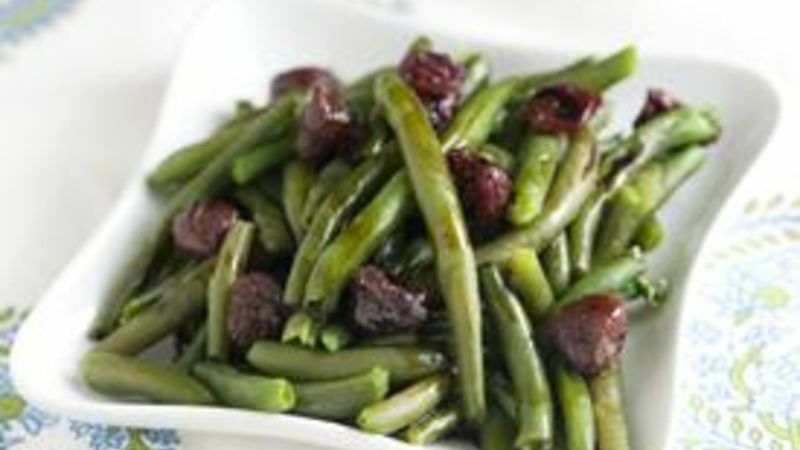 Serve green beans tossed with dried berries and topped with a drizzle of the balsamic syrup.